The sacrament of Baptism washes away Original Sin and imprints a spiritual sign “seal” on the soul. 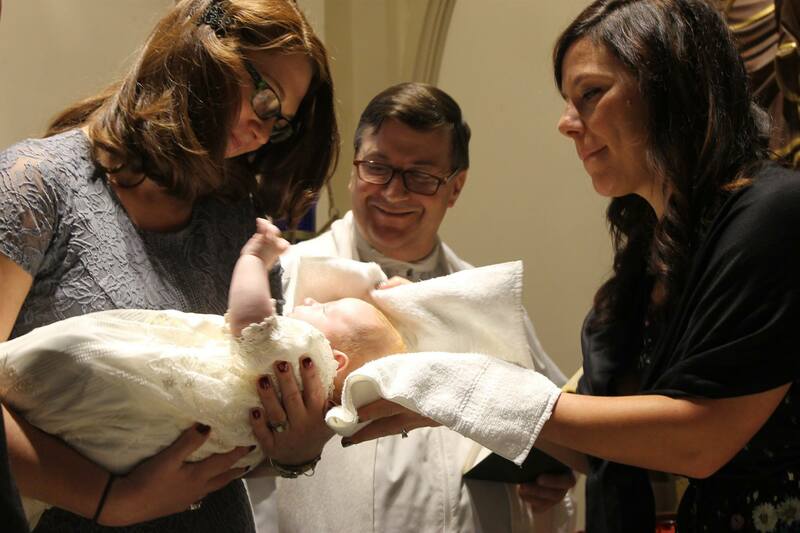 The newly baptized becomes a child of God and member of the Church. Baptisms are held the 1st Sunday of each month at 2 pm (Spanish Baptisms on 3rd Sunday of month). Parents need to be registered parishioners and must attend instruction class before the Baptism day.